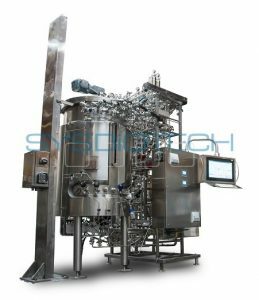 A micro-ultrafiltration system with spiral membranes is a convenient tool for full-scale testing and series production. 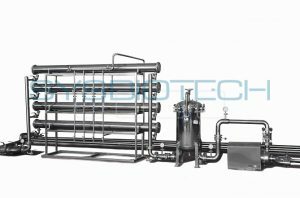 Installed in a cylindrical body, rolled membranes have a big membrane specific surface per unit volume due to their design. 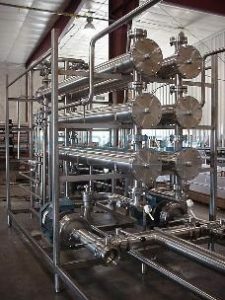 A large filtration area guarantees high productivity and targeted separation flows; it does not require high pressure and critical temperatures. 4 Ball Valves 4 SS304, fast acting. 12 Elements of quality control 1 set With full strapping and checking for moisture before packing. 13 Packaging 1 set In wooden boxes on pallets. 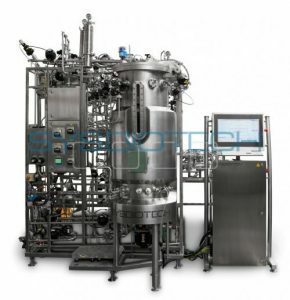 • The system is based on SCADA controller, constructed in conformance with industrial automation standards. • Simple and intuitive user interface that provides quick access to all controllers and data. 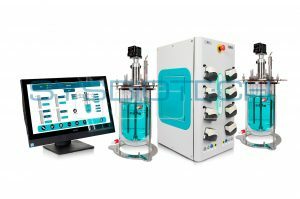 • “Sequences” program allows creating your own program of filtration, which will allow better control of the process. 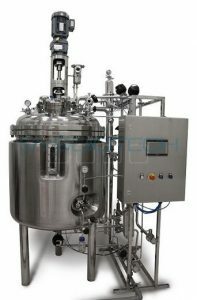 • All process data is gathered and saved in separate electronic records. • Four diﬀerent levels of access are available to control the system.